America's largest restaurant chain, Subway, will offer a $2 6-inch sandwich for the month of December as customers still remain committed to cheap meals during the recession. The deal applies to their meatball and cold cut sandwiches. "It's a magical price point," consumer psychologist Kit Yarrow told USA Today. "What it communicates to consumers is that Subway is on their side." Other large chains like Chipotle, Taco Bell and some KFCs have also recently experimented with $2 meals. 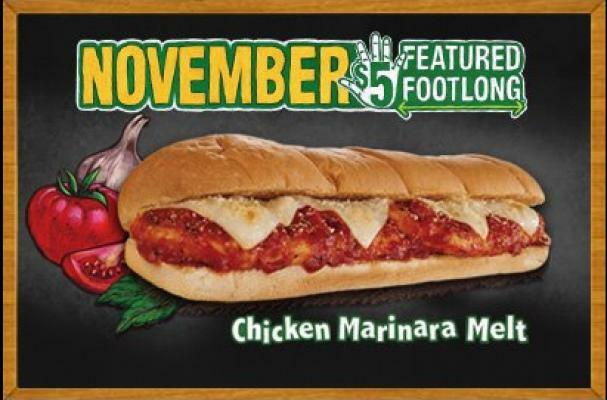 December is typically a slower month for fast food sales, but Subway could lure people into their restaurants with the deal. Most customers end up spending more than they intended. Curious what's actually in that sub of yours? Check out the ingredients here.